I am persuaded, Mr. Chairman, that I in my turn shall be indulged in addressing the committee. We all in equal sincerity profess to be anxious for the establishment of a republican government on a safe and solid basis. It is the object of the wishes of every honest man in the United States, and i presume that I shall not be disbelieved when I declare that it is an object of all others the nearest and most dear to my own heart. The means of accomplishing this great purpose become the most important study which can interest mankind. It is our duty to examine all those means with peculiar attention and to choose the best and most effectual. It is our duty to draw from nature, from reason, from examples, the best principles of policy, and to pursue and apply them in the formation of our government. We should contemplate and compare the systems which in this examination come under our view; distinguish with a careful eye the defects and excellencies of each, and, discarding the former, incorporate the latter, as far as circumstances will admit, into our Constitution. If we pursue a different course and neglect this duty we shall probably disappoint the expectations of our country and of the world. In the commencement of a revolution which received its birth from the usurpations of tyranny, nothing was more natural than that the public mind should be influenced by an extreme spirit of jealousy. To resist these encroachments and to nourish this spirit was the great object of all our public and private institutions. The zeal for liberty became predominant and excessive. In forming our Confederation this passion alone seemed to actuate us, and we appear to have had no other view than to secure ourselves from despotism. The object certainly was a valuable one, and deserved our utmost attention. But, sir, there is another object equally important and which our enthusiasm rendered us little capable of regarding; I mean a principle of strength and stability in the organization of our government, and vigor in its operations. This purpose can never be accomplished but by the establishment of some select body formed peculiarly upon this principle. There are few positions more demonstrable than that there should be in every republic some permanent body to correct the prejudices, check the intemperate passions, and regulate the fluctuations of a popular assembly. It is evident that a body instituted for these purposes must be so formed as to exclude as much as possible from its own character those infirmities and that mutability which it is designed to remedy. It is therefore necessary that it should be small, that it should hold its authority during a considerable period, and that it should have such an independence in the exercise of its powers as will divest it as much as possible of local prejudices. It should be so formed as to be the center of political knowledge, to pursue always a steady line of conduct, and to reduce every irregular propensity to system. Without this establishment we may make experiments without end, but shall never have an efficient government. It is an unquestionable truth that the body of the people in every country desire sincerely its prosperity; but it is equally unquestionable that they do not possess the discernment and stability necessary for systematic government. To deny that they are frequently led into the grossest errors by misinformation and passion would be a flattery which their own good sense must despise. That branch of administration especially which involves our political relations with foreign States, a community will ever be incompetent to. These truths are not often held up in public assemblies, but they can not be unknown to any who hear me. From these principles it follows that there ought to be two distinct bodies in our government: one, which shall be immediately constituted by and peculiarly represent the people and possess all the popular features; another, formed upon the principle and for the purposes before explained. Such considerations as these induced the Convention who formed your State Constitution to institute a Senate upon the present plan. The history of ancient and modern republics had taught them that many of the evils which these republics had suffered arose from the want of a certain balance and mutual control indispensable to a wise administration. 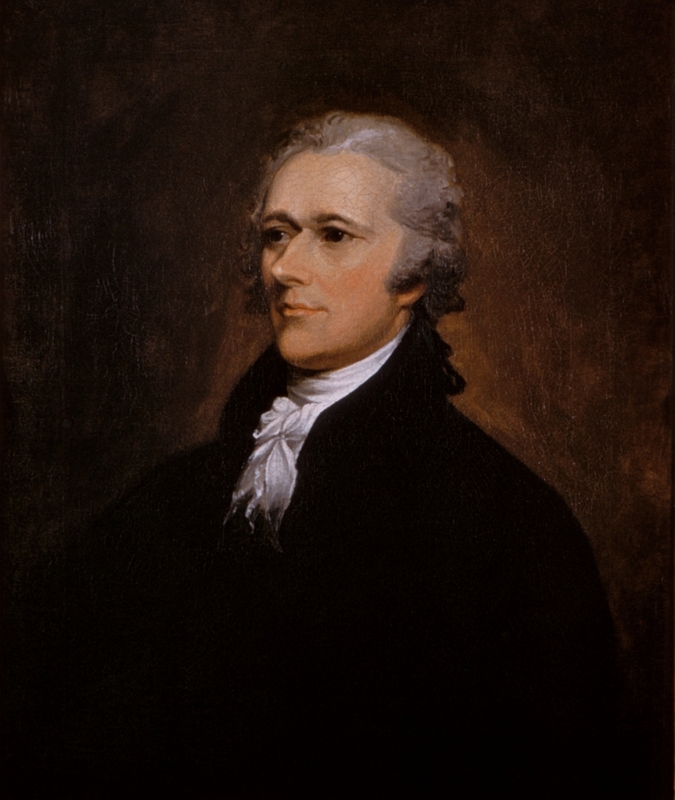 They were convinced that popular assemblies are frequently misguided by ignorance, by sudden impulses, and the intrigues of ambitious men, and that some firm barrier against these operations was necessary; they therefore instituted your Senate, and the benefits we have experienced have fully justified their conceptions. Gentlemen in their reasoning have placed the interests of the several States and those of the United States in contrast; this is not a fair view of the subject: they must necessarily be involved in each other. What we apprehend is that some sinister prejudice or some prevailing passion may assume the form of a genuine interest. The influence of these is as powerful as the most permanent conviction of the public good, and against this influence we ought to provide. The local interests of a State ought in every case to give way to the interests of the Union; for when a sacrifice of one or the other is necessary, the former becomes only an apparent, partial interest, and should yield on the principle that the small good ought never to oppose the great one. When you assemble from your several counties in the Legislature, were every member to be guided only by the apparent interests of his county, government would be impracticable. There must be a perpetual accommodation and sacrifice of local advantages to general expediency; but the spirit of a mere popular assembly would rarely be actuated by this important principle. It is therefore absolutely necessary that the Senate should be so formed as to be unbiased by false conceptions of the real interests or undue attachment to the apparent good of their several States. Gentlemen indulge too many unreasonable apprehensions of danger to the State governments; they seem to suppose that the moment you put men into a national council, they become corrupt and tyrannical and lose all their affection for their fellow citizens. But can we imagine that the Senators will ever be so insensible of their own advantage as to sacrifice the genuine interest of their constituents? The State governments are essentially necessary to the form and spirit of the general system. As long, therefore, as Congress has a full conviction of this necessity, they must even upon principles purely national, have as firm an attachment to the one as to the other. This conviction can never leave them, unless they become madmen. While the Constitution continues to be read and its principle known the States must by every rational man be considered as essential, component parts of the Union; and therefore the idea of sacrificing the former to the latter is wholly inadmissible. The objectors do not advert to the natural strength and resources of State governments, which will ever give them an important superiority over the general government. If we compare the nature of their different powers, or the means of popular influence which each possesses, we shall find the advantage entirely on the side of the States. This consideration, important as it is, seems to have been little attended to. The aggregate number of representatives throughout the States may be two thousand. Their personal influence will, therefore, be proportionably more extensive than that of one or two hundred men in Congress. The State establishments of civil and military officers of every description, infinitely surpassing in number any possible correspondent establishments in the general government, will create such an extent and complication of attachments as will ever secure the predilection and support of the people. Whenever, therefore, Congress shall meditate any infringement of the State Constitutions, the great body of the people will naturally take part with their domestic representatives. Can the general government withstand such a united opposition? Will the people suffer themselves to be stripped of their privileges? Will they suffer their Legislatures to be reduced to a shadow and a name? The idea is shocking to common sense. From the circumstances already explained and many others which might be mentioned, results a complicated, irresistible check, which must ever support the existence and importance of the State governments. The danger, if any exists, flows from an opposite source. The probable evil is that the general government will be too dependent on the State Legislatures, too much governed by their prejudices, and too obsequious to their humors; that the States, with every power in their hands, will make encroachments on the national authority till the Union is weakened and dissolved. Every member must have been struck with an observation of a gentleman from Albany. Do what you will, says he, local prejudices and opinions will go into the government. What! shall we then form a Constitution to cherish and strengthen these prejudices? Shall we confirm the distemper instead of remedying it? It is undeniable that there must be a control somewhere. Either the general interest is to control the particular interests, or the contrary. If the former, then certainly the government ought to be so framed as to render the power of control efficient to all intents and purposes; if the latter, a striking absurdity follows; the controlling powers must be as numerous as the varying interests, and the operations of the government must therefore cease; for the moment you accommodate these different interests, which is the only way to set the government in motion, you establish a controlling power. Thus, whatever constitutional provisions are made to the contrary, every government will be at last driven to the necessity of subjecting the partial to the universal interest. The gentlemen ought always in their reasoning to distinguish between the real, genuine good of a State and the opinions and prejudices which may prevail respecting it; the latter may be opposed to be sacrificed; the former is so involved in it that it never can be sacrificed. There are certain social principles in human nature from which we may draw the most solid conclusions with respect to the conduct of individuals and of communities. We love our families more than our neighbors; we love our neighbors more than our countrymen in general. The human affections, like the solar heat, lose their intensity as they depart from the center and become languid in proportion to the expansion of the circle on which they act. On these principles, the attachment of the individual will be first and for ever secured by the State governments; they will be a mutual protection and support. Another source of influence, which has already been pointed out, is the various official connections in the States. Gentlemen endeavor to evade the force of this by saying that these offices will be insignificant. This is by no means true. The State officers will ever be important, because they are necessary and useful. Their powers are such as are extremely interesting to the people; such as affect their property, their liberty, and life. What is more important than the administration of justice and the execution of the civil and criminal laws? Can the State governments become insignificant while they have the power of raising money independently and without control? If they are really useful, if they are calculated to promote the essential interests of the people, they must have their confidence and support. The States can never lose their powers till the whole people of America are robbed of their liberties. These must go together; they must support each other, or meet one common fate. On the gentleman’s principle we may safely trust the State governments, tho we have no means of resisting them; but we can not confide in the national government, tho we have an effectual constitutional guard against every encroachment. This is the essence of their argument, and it is false and fallacious beyond conception. With regard to the jurisdiction of the two governments I shall certainly admit that the Constitution ought to be so formed as not to prevent the States from providing for their own existence; and I maintain that it is so formed, and that their power of providing for themselves is sufficiently established. This is conceded by one gentleman, and in the next breath the concession is retracted. He says Congress has but one exclusive right in taxation–that of duties on imports; certainly, then, their other powers are only concurrent. But to take off the force of this obvious conclusion, he immediately says that the laws of the United States are supreme and that where there is one supreme there can not be a concurrent authority; and further, that where the laws of the Union are supreme those of the States must be subordinate, because there can not be two supremes. This is curious sophistry. That two supreme powers can not act together is false. They are inconsistent only when they are aimed at each other or at one indivisible object. The laws of the United States are supreme as to all their proper constitutional objects; the laws of the States are supreme in the same way. These supreme laws may act on different objects without clashing, or they may operate on different parts of the same common object with perfect harmony. Suppose both governments should lay a tax of a penny on a certain article; has not each an independent and uncontrollable power to collect its own tax? The meaning of the maxim, there can not be two supremes, is simply this–two powers can not be supreme over each other. This meaning is entirely perverted by the gentlemen. But, it is said, disputes between collectors are to e referred to the Federal courts. This is again wandering in the field of conjecture. But suppose the fact is certain, is it not to be presumed that they will express the true meaning of the Constitution and the laws? Will they not be bound to consider the concurrent jurisdiction; to declare that both the taxes shall have equal operation; that both the powers, in that respect, are sovereign and coextensive? If they transgress their duty we are to hope that they will be punished. Sir, we can reason from probabilities alone. When we leave common sense and give ourselves up to conjecture, there can be no certainty, no security in our reasonings.